Bringing film to unusual settings, Coastal Currents has partnered with Screen South to bring you individual touchscreens, installed into a contemplative space at the beloved Shipwreck Museum, that let you choose your own films, from drama, comedy, dance to spoken word. Curate your own selection on screen and try out new ways of watching film. 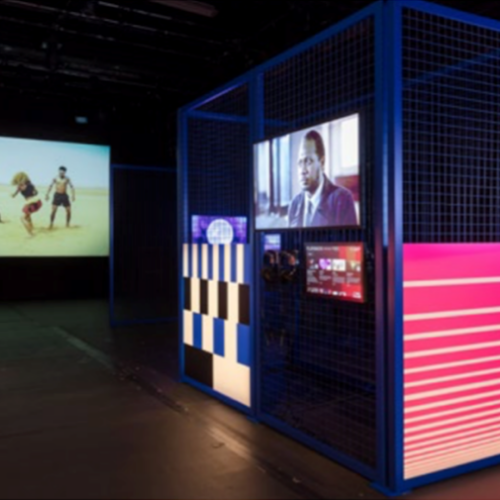 The Playback Touring Exhibition features over 300 short films made by up and coming artist filmmakers aged 16 – 24 from across England. These remarkable and award-winning short films made by emerging talent capture today’s world, showcasing bold expressions of creativity, over 90% of which featured on television or online as part of the Channel 4 Random Acts strand First Acts. Screen South was the Network Centre for the South East, producing 72 films over the three years, alongside 4 other Centres across the country, and we are proud to present the next generation of raw talent through this nationally acclaimed interactive tour. Playback was funded by Arts Council England and was a joint initiative with Channel 4 Random Acts. The 5 Network Centres are Screen South Ignition Network, The Institute of Contemporary Arts, Rural Media Calling the Shots & Tyneside Cinema.